Today, Millennials contribute to almost half of the workforce, and this will only increase over the coming years. The generations before them roughly make up 16% of today’s labour force and of those generations, the Baby Boomers are now entering into their retirement. What this means is that companies, start-ups, and corporations will mostly get their workforce from the millennial age group; those who are born between 1980 to 1995. Many opinion pieces portray Millennials as “entitled and immature” and much has been said about their obscure work ethics. 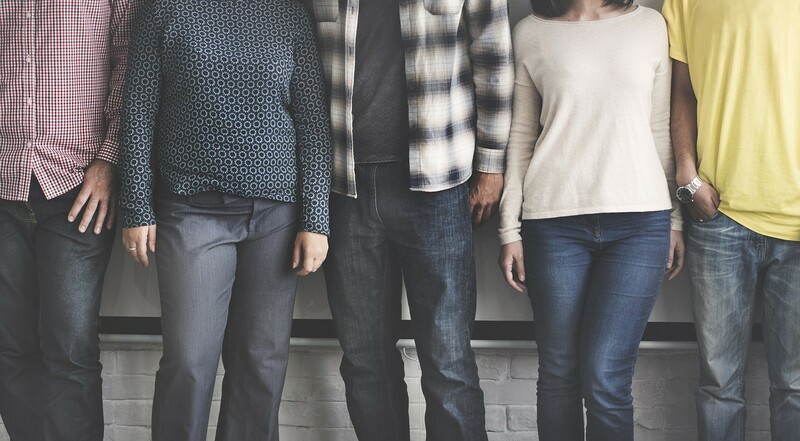 Every headhunter and agency knows the challenge that comes in dealing with Millennials; so how do we find, hire, and keep the right people for the job? Millennials sure have their idiosyncrasies but they also have distinguishing strengths. They are a group of people who love to learn, collaborate, and succeed. These qualities are the reason it becomes difficult to make them stay in one workplace for a considerable amount of time. They do not simply work for the pay cheque. Most Millennials work for experience, passion, and fulfilment. Having said that, companies need to develop a fresh talent management system that actually understands these traits and can speak to candidates in a humanised way, not using outdated applicant tracking and automated email systems. Once you appreciate what Millennials need and want, it is easier to earn their loyalty and respect, resulting in long-term employment. The best employers are today switching to Live Talent Communities. A large percentage of Millennials consider the tech giants to be the ultimate workplaces. Why? These companies have completely revolutionised the way they do nine-to-five jobs. They have placed a great sense of flexibility, value, and work-life balance, which are enticing to the young workers. To establish a driven, engaged, and passionate talent pool, you need to keep an open mind and be proactive in modernising your work culture. This is not to serve the narcissistic needs of the Millennials; it’s more of an action plan to step up your game and stay competitive in the industry. Gone are the days when micromanaging is key to productivity. When working with Millennials, you need to use their unique strengths to your advantage. Some of these strengths include vast knowledge about technology and industry, passion to make a difference, and boldness to try new things. Since meaningful work is an integral part of what Millennials look for in a job, the same goes with the type of leader they seek to work for. They are not just looking for managers that will tell them what to do; they need leaders to show them how it is done. Provide venues for displaying their skills. Having a reliable and adaptable HR system can make every employer’s work easier. If you want to keep your Millennial employees engaged, give them both non-work and work-related opportunities to showcase their skills. These activities will not only keep them busy but will improve their self-worth and confidence. Since Millennials have a variety of personality types, it would be a good idea to give a balanced platform for growth. Grant flexible scheduling and set a feasible deadline. If you ask your recruiter as to what company benefits do Millennial applicants seek, flexible schedule is up there. This doesn’t mean Millennials are lazy. They are naturally goal-oriented and incredible multi-taskers. If you want to keep track of their work, simply create an online tracker and provide feasible deadlines. Versatility paves the way for creativity and efficiency. Choose a social cause and encourage them to join. Recruitment companies can attest through a number of resumes they receive, that Millennials love to get involved in social causes. Millennials are extremely driven by purpose – in and out of the four corners of their offices. As a corporation, you are probably already supporting a cause. By making the company’s support known, you can encourage your young workers to participate in the cause. Focus less on person-to-person meetings. Like online recruitment and talent management software, there are plenty of ways to communicate with employees. This is especially true for people with the kind of job that does not require them to be in the office from nine to five. Don’t be afraid to use applications that let you monitor their work or track their progress either. The best thing about technology is that it lets you work any time and anywhere. The process of keeping Millennials engaged does not mean giving up on your company’s core values and principles. It simply means that the times are changing and you are shifting with it. Otherwise, you might miss a great talent or lose a good employee. According to the Intelligence Group, 79% of Millennials want a boss to serve more as their mentor or coach. Whether you are a boss from the Millennial group or from the Gen X, more and more Millennials will surely be part of your recruitment in the coming years. That being said, you should start integrating your company voice and ethics in a way that no generation will feel left out. It is not just the Millennials that the companies cater to – it just happens to be that they are the bigger crowd in the workforce. Through keeping the Millennials involved holistically in your company, you will surely gain their trust, respect, and dedication. It is evident that Millennials can contribute to changing the entire corporate landscape and companies and entrepreneurs can vastly improve through motivating and inspiring Millennials. Yada is a Freelance writer and Outreach Specialist at Integral Media, a digital marketing company in Australia that provides SEO services, PPC Management and Websites Design. You also can find her on twitter (@yada_anek).